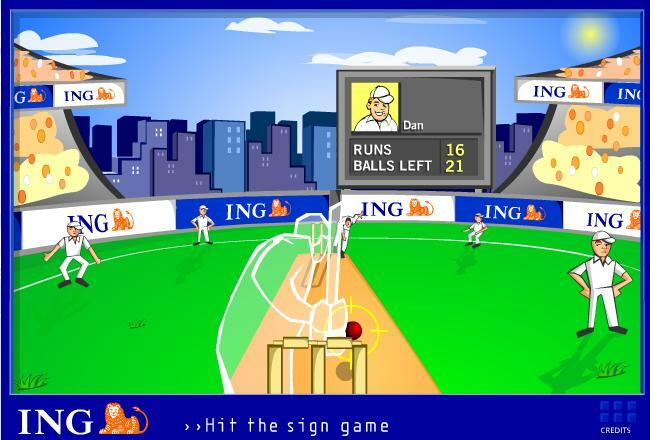 Hit The Sign by ING cup is a free on-line game requiring Shockware to play. In it you must try and score as many runs as possible in the final 24 balls with only one wicket remaining. Control is simple - you simply have to click on the yellow target circle which appears at the optimum time. High scores can be registered on-line. Send feedback about Hit The Sign. Scarborough Muslim Cricket Club - have working link to Hit The Sign game (although you can no longer register your score).